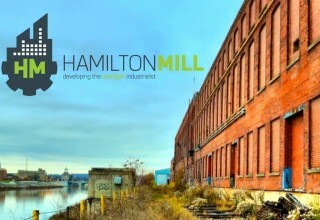 Hamilton,OH, January 11, 2018	(Newswire.com) - ​​​​​​​​Pipeline H2O, the award-winning water technology commercialization program managed by The Hamilton Mill is pleased to announce the 2018 Pipeline H2O Class of companies. Supported by a coalition of regional cities, utilities, universities, and startup organizations throughout the Greater Cincinnati region, Pipeline H2O’s goal is to identify and accelerate companies working on water technologies that address the world’s water challenges. Some of the challenges include infrastructure improvements, water reuse, wastewater treatment, monitoring and consumer innovations. Pipeline H2O’s application review process included multiple rounds of evaluations to select the class of 7 companies. The evaluations were conducted by a diverse committee comprised of a cross-section of water experts (Greater Cincinnati Water Works, The Metropolitan Sewer District of Greater Cincinnati, City of Hamilton Water, Confluence, Butler County Groundwater Consortium, U.S. EPA, University of Cincinnati) and entrepreneurial leaders (Hamilton Mill, Cintrifuse, Queen City Angels). The Pipeline H2O program will run from February through May 2018 and will introduce the selected startups to various value-add resources throughout the region. 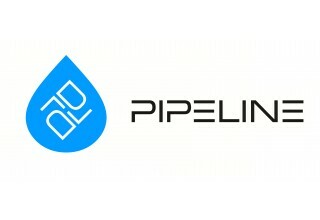 Pipeline H2O 2018 will culminate with a Demo Day on May 24, 2018, in Cincinnati, Ohio. Cerahelix - ceramic pico filtration products used for high purity filtration. Drop Water - an innovative way to make and distribute bottled water that was designed from the ground up to be as efficient and sustainable as possible. Folia Water - creating a new $1B+ category: fast moving consumer goods water filters for the 3 billion people who make $2 - $10/day. GeoInteractive - deep tech company automating the job of critical sewer inspections. Micronic Technologies - MicroEVAP™ uniquely separates contaminants from water using mechanical evaporation, vapor compression, and condensation with increased throughput at reduced complexity and cost. Water Warriors - first no-expansion-needed solution for water treatment plants fighting the losing battle of removing nitrogen and phosphorus from water. WINT-WI - water IoT metering & data analytics solution for Commercial Real Estate and Utilities.